Surprise, folks! We got so many responses to our call for your UMBC love stories that we’re extending Retriever Love Week 2016 EVEN FURTHER into the weekend. Feel all of the love! 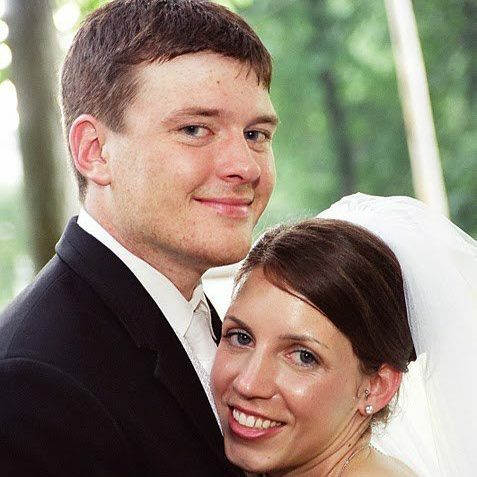 Stefanie Thomas Commins ’06, mathematics, says that her husband John Commins ’06, information systems, was one of the first people she met at UMBC, through the track and cross country teams. During their junior year, when Stefanie and John started spending more time together, they found that their feelings for each other had deepened, and decided to pursue a relationship. On the night of Stefanie’s last final exam — she says it was a stressful one — John took her to a relaxing dinner, drove her home, and proposed. She said yes, and shortly after they graduated together in December 2006, they got married. They are now the parents of five: daughter Katie was born in 2008, only son Caleb arrived in 2010, and in 2013, the family grew even more with the birth of identical triplets Rebekah, Sarah, and Kylie. Brad Borowy ’11, environmental science, and Tori Chanda ’13, psychology, went on their first date on November 11, 2010, after a mutual friend set them up. On July 2, 2015, they were on their way to a friend’s house when Brad asked Tori if she wanted to stop by campus, to see how much it had changed since they graduated. 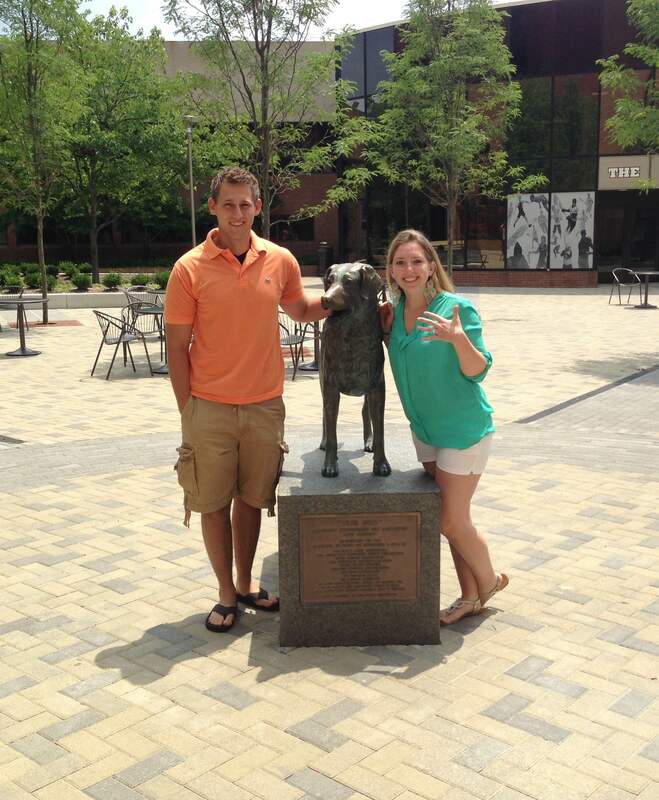 They walked around for a while, and when they came to the statue of True Grit in front of the RAC, Brad told Tori to rub the dog’s nose for good luck, as is customary before exams. She did, and when she turned around, Brad was down on one knee with a ring in his hand. A November 12, 2016, wedding is planned, and Tori writes, “…we are looking forward to what the future holds. 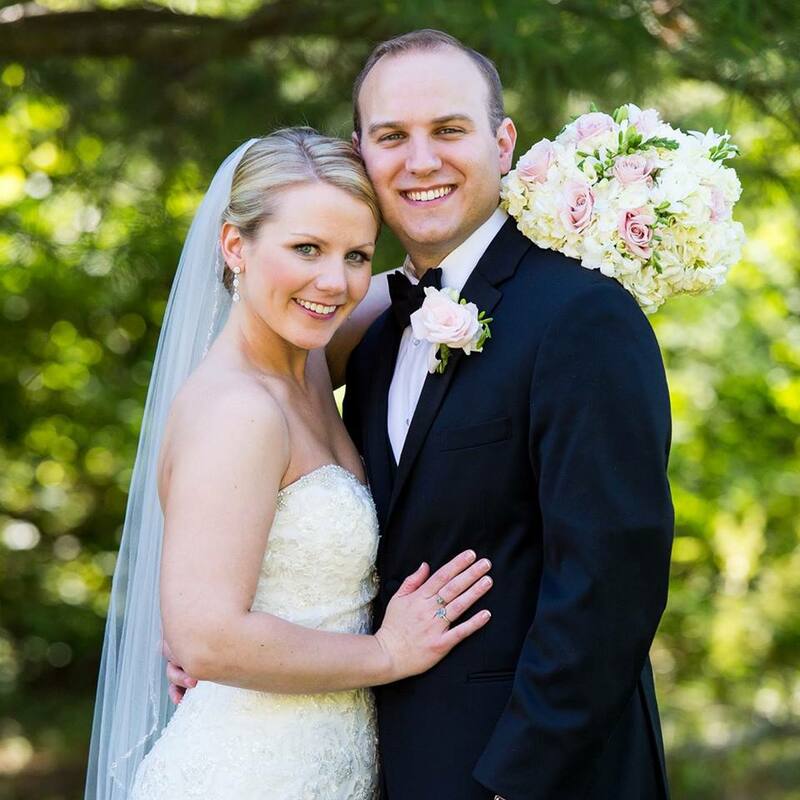 Jon Kerr ’10, ancient studies, and Jessica Ruth Baker ’12, theatre, began dating during Snowpocalypse 2010. “We had been friends for a while, having both worked at the Chesapeake Front Desk, but we started hanging out more and more as the snow fell, and we never stopped spending all of our time together!” writes Jessica. Jennifer Mack Abrams ’97, mathematics, and her now-husband, Ed Abrams ’97, psychology, were both involved in Greek life during their time at UMBC (Delta Phi Epsilon and Sigma Phi Epsilon, respectively). They met in 1995, got married in 1999, and live in Catonsville with their two children. 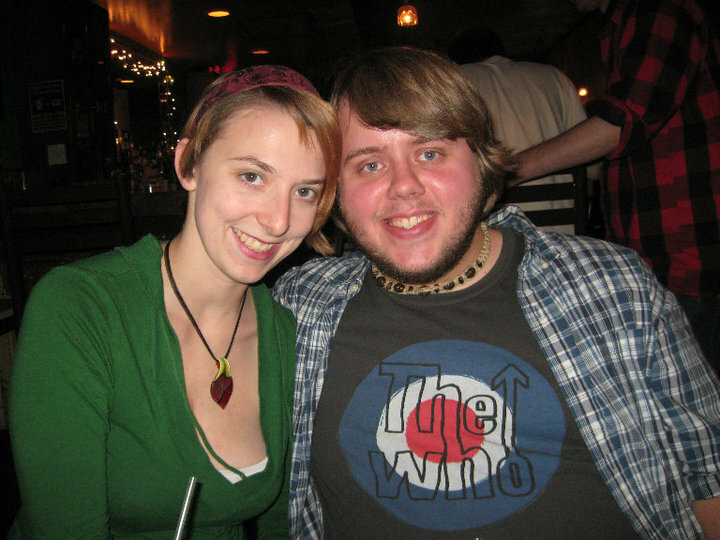 Jenna Poland ’12, modern languages and linguistics, met her fiance, James Mortensen, at UMBC in 2008. They will be getting married in October. Read about all the couples we’ve featured this year here!